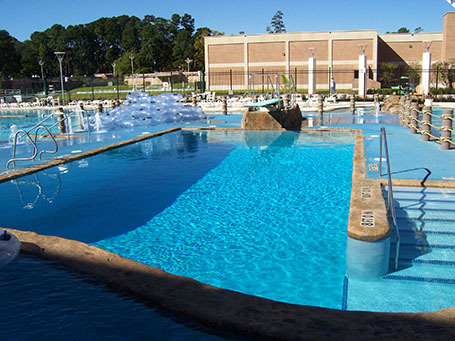 In a 2004 campus referendum, Stephen F. Austin University students approved a fee to construct a recreation center. Leaders at the university subsequently built a center to house the Campus Recreation Department, aquatics, safety camps, fitness/wellness, intramural sports, and member services The resulting design takes advantage of the site’s sloping terrain and sweeping views of beautiful pine trees. Counsilman-Hunsaker, in association with F&S Partners, was commissioned to design a state-of-the-art aquatic facility on the existing outdoor courtyard grounds. 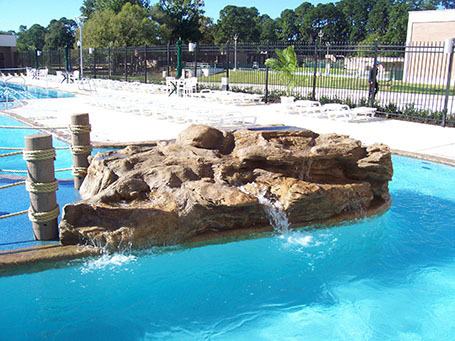 The stunning pool complements the brick exterior with resort-style rockscaping and tumbling water. 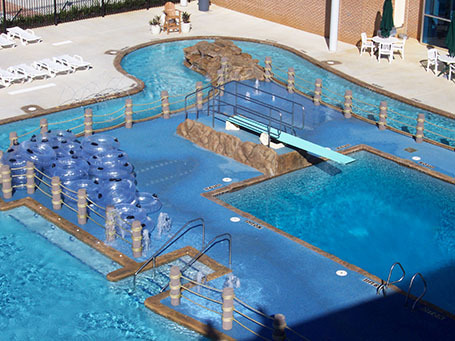 The aquatic facility offers CPR and lifeguard certification and sponsors dive-in movies, beach-ball dodgeball, and lifeguard races.